If you’re just looking at what it can do the Montblanc Summit 2 probably isn’t worth the thousand dollar price tag. But, if you’re looking for a luxury timepiece that’s also a smartwatch, the Montblanc Summit 2 is a great choice. You can usually pick up one of the best smartwatches for about $400 in the US, and you can expect top-of-the-line performance on top of snazzy style. However, there are certainly people out there that demand a bit more in the way of luxury in their devices. 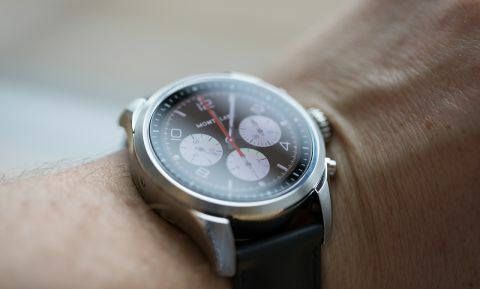 For those people, the Montblanc Summit 2 is going to be appealing. It features the latest watch chipset from Qualcomm, and a luxury build, but with its high price tag, it might not be the most cost effective option out there. In a landscape dominated by the Apple Watch Series 4, with its LTE connectivity and amazing health features, we’d love to see more features in a watch that costs nearly twice as much, but the beautiful design and rigid build quality might be enough for the right kind of user to justify the price. The Montblanc Summit 2, to put it bluntly, is very expensive. You can pick it up today in the US and UK for $995 (£845, about AU$1,410). You read that right – a thousand bucks for a smartwatch. Montblanc is known for crafting luxury timepieces, so it shouldn’t come as a surprise that its only smartwatch follows suit. There aren’t many smartwatches in this price range, but they do exist. You can get the Garmin Fenix Chronos for $1,499 (about £1,310, AU$2,120), running on an older chipset, but features much more robust fitness features. Or you could pick up the futuristic-looking Movado Connect for about $895 (£750, AU$1,044) which runs on Wear OS, much like the Summit 2. We need to get one thing out of the way immediately: this is a gorgeous watch. It has a beautiful stainless steel case, and the default watch faces look like you’re wearing a traditional luxury timepiece. The back of the watch, where the heart rate sensor is located, is made of resin. The whole thing feels extremely premium. Even the strap that came with the watch is made of leather, and both feels and looks great on your wrist. It’s just a shame that it’s such a pain to adjust. Seriously, when we took this thing out of the package, we must have spent a solid 10 minutes trying to wrestle with the wrist strap, trying to get the clasp to close. We get that it’s a luxury watch, and these kinds of straps are common, but we would have preferred a simple watch strap right out of the box. Luckily, the strap is swappable. There’s a clasp on each side of the watch that you can release to switch out the strap. You can find less complicated straps on Montblanc’s store, but much like the watch itself, they’re quite expensive – expect to pay at least a hundred bucks for the cheapest strap. However, we did quite like the buttons on the side of the watch, as we’re used to only having one. There’s a button in the center of the dial that acts as a home button, of course, but there’s two more programmable buttons to the sides. Out of the box, one acted as a dedicated Google Pay button, and the other took us right to Google Fit. It’s convenient, and we have to give props there. As for the display, its covered with Sapphire glass, which probably helped contribute to the thousand dollar price tag, and you don’t need to worry about it getting scratched up in normal use. The screen itself is a 1.2 inch AMOLED panel, and it looks amazing. Colors pop off of the screen, and the default watch faces look as premium as you’d expect from such an expensive device. The bezels are a little larger than we expected, but because they’re marked like a typical watch, they blend into the display and help contribute to the overall premium aesthetic. However, if you opt for a digital watch face, rather than all the default analog faces, these markings might look out of place, making the bezels that much more noticeable.